The first post in this series is about nails!!! My mum, 2 sisters-in-law and I have been looking for somewhere to get false nails on for the wedding. We trekked across 2 counties trying to find somewhere that could take 2 or 3 of us together and do us at the same time. None of us wanted to go alone, but it takes over an hour so doing them one at a time would be very boring! I was trying my dress on for its final fitting about 2 weeks ago, and walking back to the car we walked past a beauty salon, ‘The Beauty Spot’ in Congleton! Huzzah! (we thought). We asked the lady and she could book all 3 of us in together for the Saturday before the wedding! We quickly booked in and took the appointment card away with us. A lot of blank faces! Turns out ‘someone’ had written our appointment in for THE WRONG WEEK! She didn’t even seen very contrite at all, and given that she could have lost (3x£36=) £108 didn’t even seem that bothered about keeping our business. 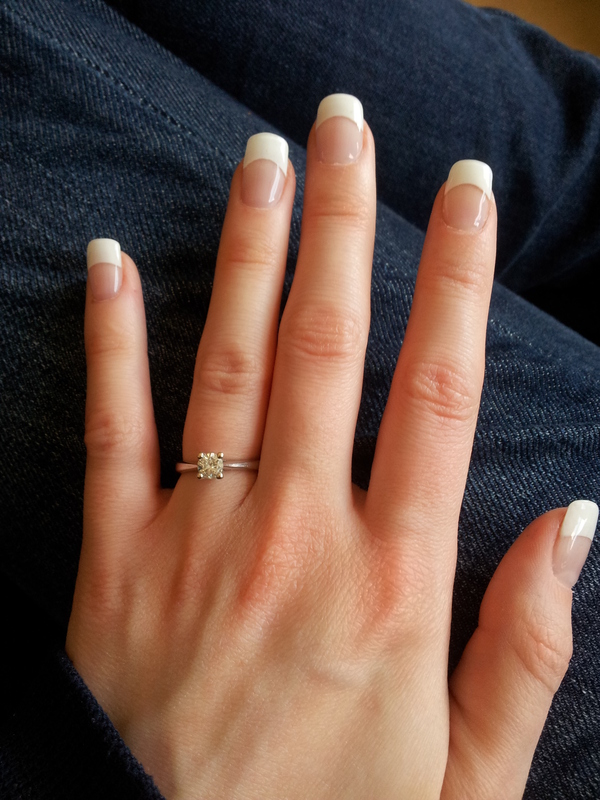 These were the most expensive nails we’d seen but we booked it because we wanted to all be done together. I really wanted my nails doing in advance so I could get used to them and practice putting contact lenses in and out, since I’ll have to swap them during the wedding day. She offered us a new appointment on Thursday (the evening after a day at work when we’re running around picking things up for the wedding). Woo. So we spent an hour checking at every nail bar in Congy that SIL could find on the internet but no such luck. Who closes at 2 on a Saturday??? Mum phoned a place in Biddulph (Biddulph Tanning Centre) on the off-chance that they had an appointment and HALLELUJAH they did! I went in and they sorted me out. Mum and SIL are going on Thursday! 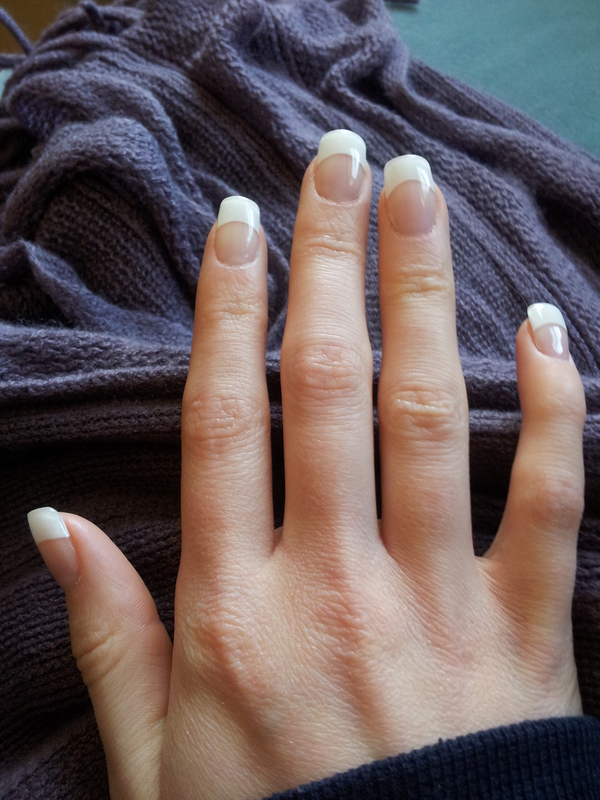 They do ‘backscratchers’ rather than acrylics, which don’t damage your nails as much. She tried to convince me to go with Shellac nails, since they’re very in fashion and that’s what all brides are having these days. No thankyou. I stuck with my white tips falsies for that classy timeless look. I’ve never been one for fashion! The lady was lovely and very good and I am really happy with the result. (and all at a wallet-friendly £22!) I would highly recommend Biddulph Tanning Centre to anyone!